City Loft Hostel is a cozy and stylish Hostel in the historical part of Moscow on Merzlyakovskiy lane just in front of the Nikitskiy boulevard. 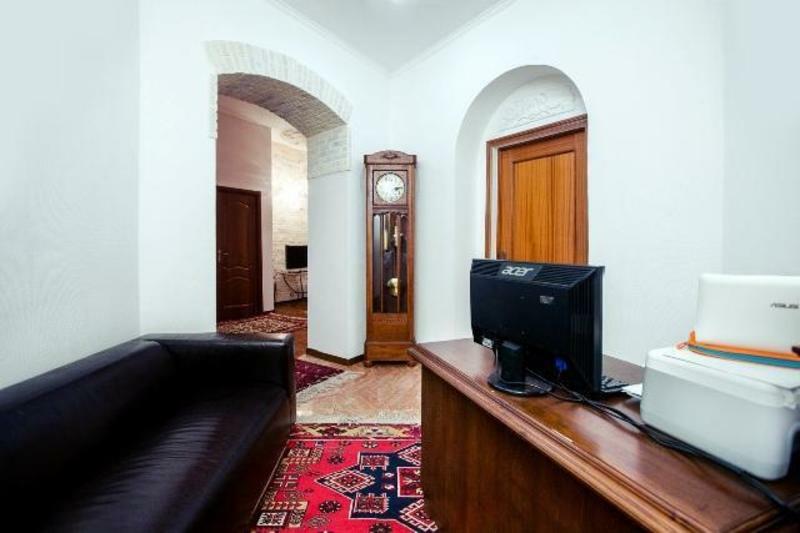 City Loft Hostel occupies 220 square meters and situated on the 4th floor of historical house built in 1903 year. CLH suggests you Bed & Breakfast services, towels and sheets included, traditional Russian breakfast for additional price, visa and invitation support, free city maps, transfers to/ from airport, city recommendation & tips, theme Moscow excursions. City Loft Hostel is a strictly non-smoking area. Pets friendly for extra charge. No pets, strictly non-smoking, 18+. By Aeroexpress Train - a comfortable high-speed train that goes non-stop from airport (one way ticket price is 350 rub). From Sheremetyevo Airport: Aeroexpress train goes to Belorusskaya Railway station every 30 minutes, travel time - 35 minutes. From Belorusskiy Railway station go to Belorusskaya metro station and take line Zamoskvoretskaya (green), go 2 stations till Tverskaya station and go out to the city. City Loft Hostel will be in 15 minutes walking along Tverskoy Boulevard. From Domodedovo Airport: Aeroexpress train goes to Paveletskaya Railway Station every 30 minutes, travel time - 45 minutes. From Paveletskaya Railway Station go to Paveletskaya metro station and take line Zamoskvoretskaya (green) till Tverskaya station and go out to the city. City Loft Hostel will be in 15 minutes walking along Tverskoy Boulevard. From Vnukovo Airport: Aeroexpress train goes to Kievskaya Railway Station every 40 minutes, travel time - 40 minutes. From Kievskaya Railway Station go to Kievskaya metro station and take line Filevskaya (light blue), go 2 stations till Arbatskaya station and go out to the city. City Loft Hostel will be in 10 minutes walking. By taxi: we will be glad to assist you with ordering a taxi from the airport or train station. It is better to do this beforehand as prices at the airport upon arrival will be twice higher. From Sheremetyevo Airport: bus goes from metro stations Rechnoy Vokzal and Planernaya (please see detailed information on Sheremetyevo Airport website). From Vnukovo Airport: bus goes from metro stations Oktyabrskaya and Yugo-Zapadnaya (please see detailed information on Vnukovo Airport website). Sheremetyevo Airport: You may drive to/ from Moscow Sheremetyevo Airport on the Leningradskoe Shosse highway. The distance from MKAD to Sheremetyevo Airport is 15 km. Domodedovo Airport: You may drive to/ from Moscow Domodedovo Airport on the Kashirskoe Shosse highway. The distance from MKAD to Domodedovo Airport is 22 km.